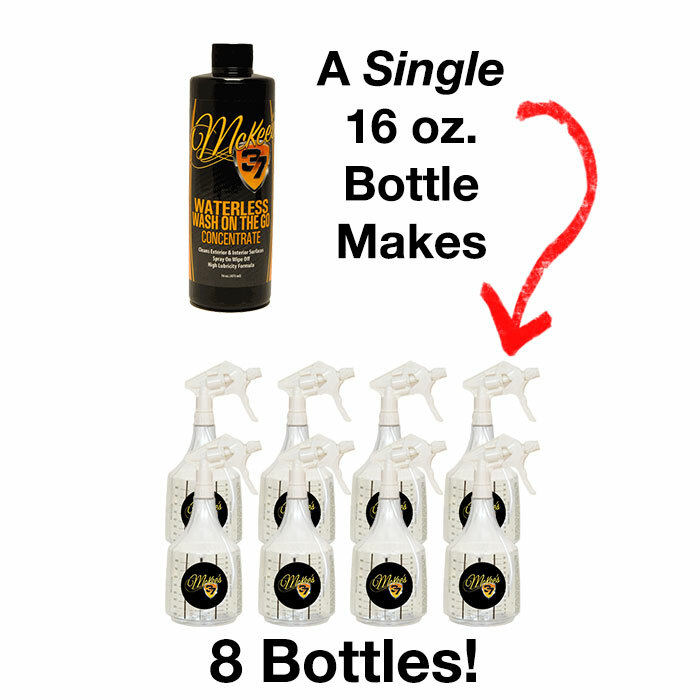 McKee's 37 Waterless Wash On The Go Concentrate makes several gallons of ready to use waterless car wash! My go to product 5 When Im feeling lazy which is mostly; this is my go to. Wash a lightly soiled car in minutes. No hoses, buckets or drying towels. Spray on and wipe the dirt away. I usually follow up with a spray way or high gloss detailer. Pros:Ease of use. All of the McKees lineup is easy to use. A QualityProduct With Great Results 5 A Great Product Which Goes On And Off Effortlessly And Leave The Paint Finish Smooth And Protected!